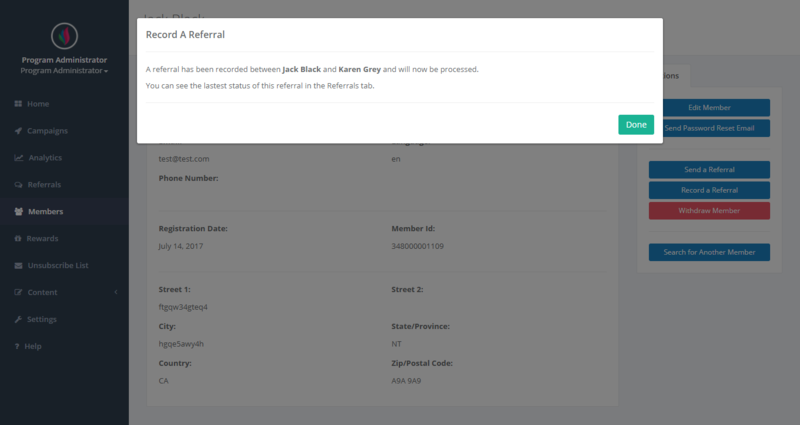 How can manually record a referral between two existing members or a member and a referee? Provide the referee's information: their name, email address, language, campaign (remember to pick the right campaign! ), account identifier, and account creation date. 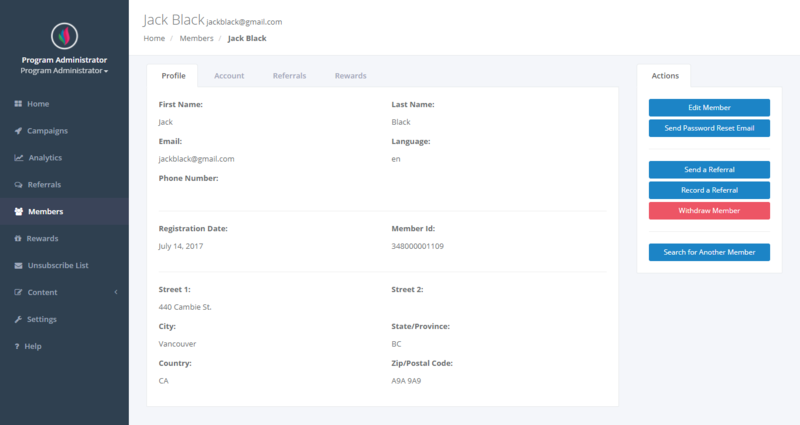 Optional fields include account type, account sub-type, and mailing information. You'll receive a notification if your action was successful.